Charlotte completed her training in Holistic Massage at BCMB in 2015, after taking voluntary redundancy from 7 years spent as a nursing assistant and 16 years spent in communications and customer service in the public sector. After swearing that she would never work behind a desk again, Charlotte jumped at the chance to join the team as College Manager in 2016. Charlotte thrives on the variety, busy-ness and challenges that working in a small business with a big heart and high standards brings, and is proud to now be part of the BCMB Board and Director team. 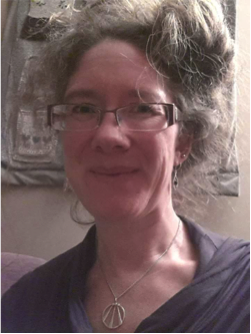 She runs her own small massage practice from home in Stroud, and writes an occasional blog and Facebook page as The Wheel Within.